Philadelphia, PA (August 5, 2013) – The Inglis Board of Directors has elected TIMOTHY J. MAHONEY, III of Philadelphia, to join the Inglis Board. Mahoney will serve on the Inglis Housing and Strategic Resources committees and advise on all of Inglis’ housing developments. Timothy J. Mahoney, III is the founder and president of both Mahoney Realty Group, Inc. and Mariner Commercial Properties, Inc. Mahoney entered the commercial real estate industry in 1984 with Oliver Realty, Inc. and has worked for firms including the Grubb & Ellis Company, The Binswanger Company, SenecaRoach Commercial Property Services before forming his own company. Mr. Mahoney holds a Bachelor of Arts in Economics from Villanova University. He is a Charter Member of the Tri-State Commercial and Industrial Realtors Association; a Charter Member of the Suburban West Realtors Association; a former director of the Central Philadelphia Development Corp. (CPDC), and a member of the Philadelphia District Council of the Urban Land Institute (ULI). Mahoney is a licensed Real Estate Broker in Pennsylvania and New Jersey. 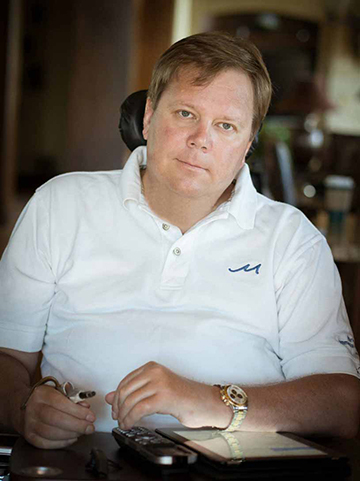 In 2011, Mr. Mahoney sustained a catastrophic injury while mountain biking which left him paralyzed from the chest down. Despite this adversity, he remains very active in the affairs of both of his companies. He was recently invited to sit on the newly created Patient Advisory Council for Magee Rehabilitation Hospital. His newfound perspective has inspired him to seek ways to help enhance the lives of others with similar disabilities. “Through my own experiences after my injury, I understand how important independent living is to someone with a disability. And I look forward to helping Inglis make are real difference in the community,” he said. Mahoney joins board members, Board Chair, Lauren DeBruicker, Esq. (Partner, Duane Morris, LLP); Vice Chair, Won Shin (Senior Manager, Ernst & Young); Secretary, Theodore Robb (Robb Associates); Treasurer, Thomas M. Sibson, CPA (CFO, Bayada Nurses, Inc.); John K. Dugan (Partner, Health Industries Advisory Practice-Price Waterhouse Coopers); Alysse Einbender (Principal Landscape Architect, Zion Breen Richardson Associates); JoAnne T. Fredericks, CFA (Senior Vice President, Pennsylvania Trust Company); William J. Koons (Director of Development, Presbyterian Senior Living); James G. Logue, Esq. (Shareholder, McCausland Keen Buckman); Marisa A. Rogers, MPH, MD (Health Care Consultant); Jim Seaman (Vice President, Internal Audit and Management Consulting Services, Drexel University); Sankey V. Williams, MD (Sol Katz Professor of Medicine, University of Pennsylvania Medical School, Chief, Division of General Internal Medicine University of Pennsylvania Health System, retired); and Jacqueline Zinn, PhD (Professor, Risk, Insurance & Health Management, Fox School of Business and Management, Temple University). Founded in 1877, INGLIS enables people with disabilities, and those who care for them, to achieve their goals and live life to the fullest. Inglis serves nearly 1,000 people daily throughout the Delaware Valley supporting independent, community living, by offering accessible, safe and affordable housing, innovative day programming, adaptive technology and employment services. In addition, Inglis provides long-term, residential living for 297 adults with significant physical disabilities and complex health care needs.